Mt. 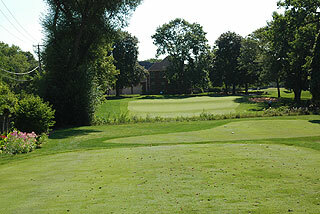 Prospect Golf Club, conveniently located just 20 miles from the Chicago Loop and just 4 miles from O'Hare airport, is a par 71 6309 yard regulation golf course. 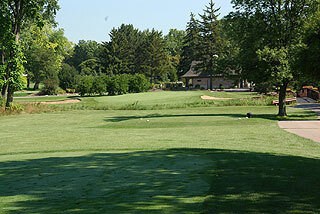 This parkland style golf layout was originally built as a private country club in the 1920s. Golf Digest Magazine awards this historic design that has held the test of time a 3-1/2 star rating. 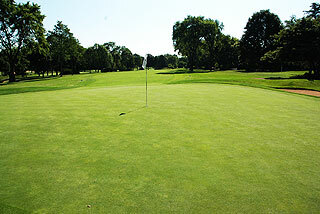 The course offers golfers the chance to play quality golf at affordable rates at one of the most popular places to play in the Chicago area. Four sets of tee boxes play to distances and slopes measuring 6390 yards/129 slope, 5923 yards/125 slope, and 5307 yards/118 slope for men and 121 slope for women, and 5028 yards with a slope of 118 for women playing from the forward tees. Color coded flags indicate daily pin positions- red for front, white for middle, and blue means a back of green hole location. All carts include To The Green GPS devices which measure to the center of the green from the carts position on the course. 52 sand traps are in play situated about the 18-hole layout mostly greenside with some difficult fairway bunkers strategically placed near landing zones on five holes. 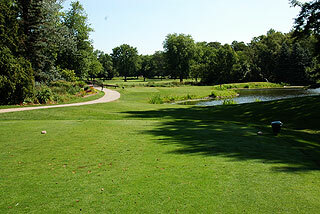 Water comes into play frequently in the form ponds and streams to be carried or avoided near landing areas. 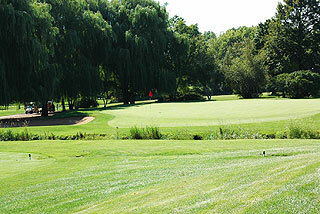 In total twelve holes feature water hazards, seven are to be carried off the tees and the rest must be carried to reach the green. 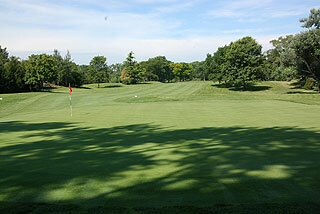 The course features flat fairway landing zones with mounding off to the sides in the rough. The course places a premium on shot making as players may need to draw and fade tee shots in order to gain a clear approach to the well bunkered greens. 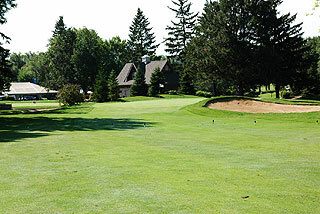 Fairways are tree lined with some recovery room with exception to the par four 277 yard 13th, which features trees that almost completely block the green and a safe tee shot is also necessary' Putting surfaces are small with quick slopes and are well guarded by mounds and bunkers. The clubhouse features a pro shop, locker rooms with showers, a full menu restaurant with plenty of space for outings and banquets. Practice facilities include a targeted grass range, a hitting simulator, two putting greens, and a short game area with sand bunker. There is also a private teaching area only to be used by those who are taking lessons from the qualified staff. 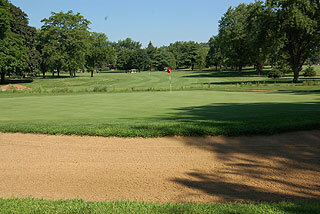 The beautiful clubhouse and one of the best practice facilities in the area add to the great golf experience at Mt. Prospect. For more detailed info on the course please visit our page for Mt. Prospect Golf Club by clicking here.